Hannah Piper | BMSS, LLC. Hannah Piper became a part of the BMSS family in August 2016 as a staff accountant and currently serves as a senior accountant. 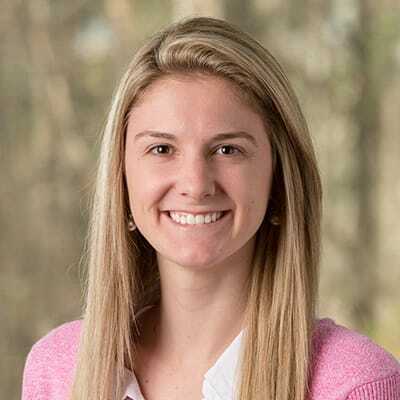 Originally stepping into the world of accounting with a mindset of loving numbers, Hannah soon discovered there was a much greater depth to the career path she had chosen. This knowledge sent her spiraling forward with the excitement of being able to accomplish more and dig even deeper. Bringing heartfelt goals and motivation to the team, Hannah wants so much more than just success in the typical use of the word. She is always fighting for opportunities to be an influencer and has an incredible sincerity and drive towards leaving a mark upon each and every place and person life throws her way. With this heart, she is taking accounting one milestone at a time, one goal at a time, and loving people around her throughout all of it. Hannah grew up in Guntersville and Jasper, and currently lives in Jasper and enjoys spending time with her husband, Jeremy, and son, Noah. One rarely known fact about Hannah is that she has an Irish twin (a sibling born less than 12 months apart from her).